As this is the first department newsletter during my term as department head, I wanted to briefly introduce myself. I grew up in Stony Brook, New York, a suburb of New York City on Long Island. I earned my B.A. in Political Science at the State University of New York at Albany and my M.A. and Ph.D. at Binghamton University (SUNY). I moved to Manhattan, KS after accepting a position as an assistant professor in the fall of 2009. I have lived in Manhattan since then. My teaching and research focus on the causes of political violence. Some of my research examines the causes of war, but more recently my work has focused on the causes of government repression (the violation of human rights) and human trafficking. Outside of work, I like to spend my free time hiking, running, and watching sports. I arrived at K-State with no rooting interest in college sports and I quickly found myself drawn to the community and environment surrounding K-State sports. That has been one of my favorite parts of living in this area. I am incredibly excited about the opportunity to serve as the head of the Department of Political Science. We have a lot of very exciting things going on. I am fortunate to come into this position the year after four of members of our faculty and staff earned university-wide awards for their teaching and administrative accomplishments. This is a department with a tradition of strong teaching and service and this is recognition of the fact that it continues to this day. I am also fortunate to start this position at a time where our faculty are producing important cutting-edge research. This is reflected in the large volume of books and journal articles published by our faculty and the awarding of a large defense department funded grant during the most recent academic year. Please browse through the rest of the newsletter for additional details about the many exciting accomplishment of our faculty and staff. I’d also be remiss to not take this opportunity to thank our former head, Jeff Pickering, for his ten years of stewardship of the department. Many of the strengths of the department that I referenced above are thanks to his leadership. We experienced a great deal of growth in the department during his tenure. As someone that started here during Jeff’s second academic year as head, I can testify to the positive impact that he had on my career and many others. Please feel free to stop by the department if you find yourself on campus. I’d love to fill you in all the great things going on around here. Two Kansas State University political science researchers have been awarded $1.2 million by the U.S. Department of Defense Minerva Research Initiative to study the political, economic and social effects of the United States’ overseas military presence. Carla Martinez Machain, associate professor, and Michael Flynn, associate professor, will work with a team to engage in a large data collection effort to explore public attitudes and beliefs about American activities and installations abroad at the national, regional and local levels. We wish to thank Don and Carol Kissinger for their continued support of the department. Their notable gift will allow the department to continue to thrive for future generations of students and provide even more opportunities for future K-Staters. During the 2017-2018 academic year, two members of the Political Science Department were recognized for their exemplary teaching. 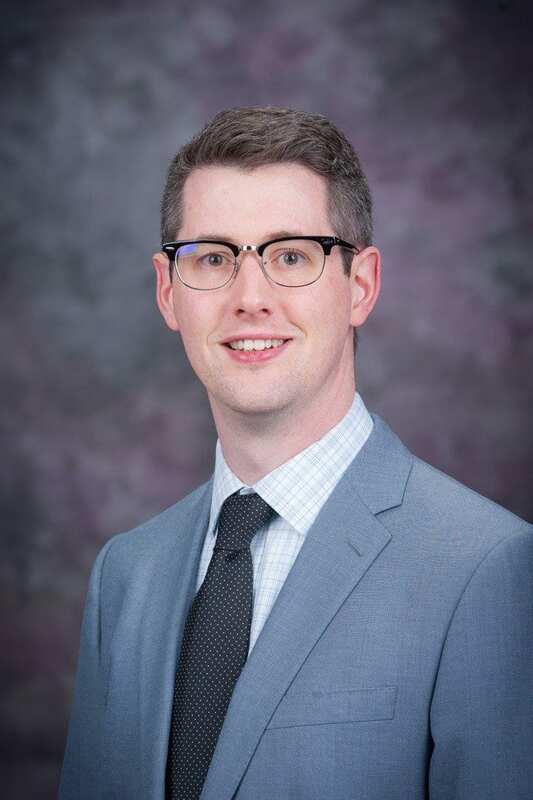 Nathaniel Birkhead, an associate professor in the department, was one of four faculty members selected in 2018 from across KSU to be awarded the Presidential Award for Outstanding Undergraduate Teaching. The purpose of this award is to recognize and reward excellence in teaching performance in the undergraduate program. 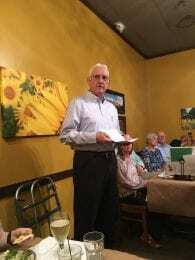 He was previously a recipient of the Commerce Bank and W.T. Kemper Foundation Undergraduate Outstanding Teaching Award. 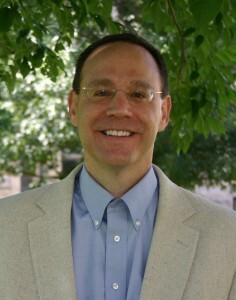 Dr. Birkhead teaches courses on American politics and government. Carla Martinez Machain, an associate professor in the department, was one of three faculty members in the College of Arts and Sciences awarded the William L. Stamey Award for Outstanding Undergraduate Teaching. This is reflection of Dr. Martinez Machain’s outstanding contribution to undergraduate teaching. 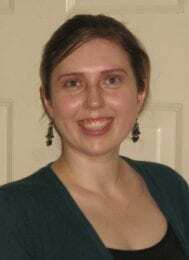 She teaches courses on international relations and security. Our students are fortunate to learn from experts like Drs. Birkhead and Martinez Machain! During the 2017-2018 academic year, two members of the Political Science Department were recognized for their exemplary administrative service. 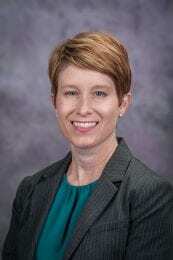 Allison Kuehne earned the 2018 Staff Employee of the Year Award within the College of Arts and Sciences. Only one individual earns the award from each college, and Allison was the Arts and Sciences winner. This is a recognition of the outstanding work that she does in support of students across the university and the faculty in our department. We are incredibly fortunate to have Allison as a member of our department! Jeff Pickering was awarded the Presidential Award for Outstanding Department Head. This annual award acknowledges the recipient’s accomplishments and governance as a department head, cooperation with other units in the College and University, and service to external clientele, professional societies, and to the community. This is well deserved recognition after ten years of service to the department. Overall, these awards are indicative of the high-quality teaching and service provided by the faculty and staff within our department. 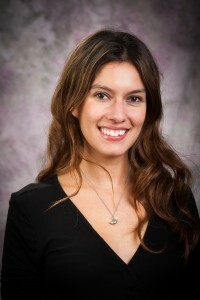 We are excited to announce that Brianne Heidbreder has accepted the position of Director of Graduate Studies. She will lead the Masters in Public Administration and MA in political science graduate programs in that capacity. Nathaniel Birkhead has been promoted to associate professor with tenure. Nathaniel joined the department in 2012. He has established himself as an excellent teacher and highly productive scholar. Nathaniel’s research focuses primarily on representation, legislative elections, and legislative behavior, with an emphasis on state legislatures. 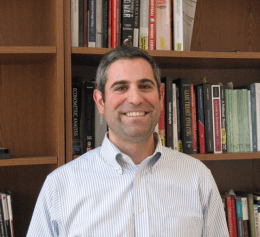 His work has appeared in Political Research Quarterly, Legislative Studies Quarterly, and State and Local Government Review, among other outlets. 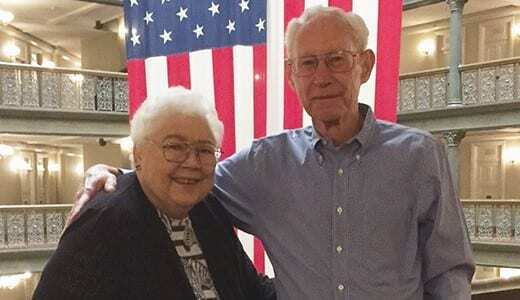 His strength as a teacher is evidenced by the multiple teaching awards that he’s received for his undergraduate teaching, including the Presidential Award for Outstanding Teaching and the Commerce Bank and W.T. Kemper Foundation Undergraduate Outstanding Teaching Award. 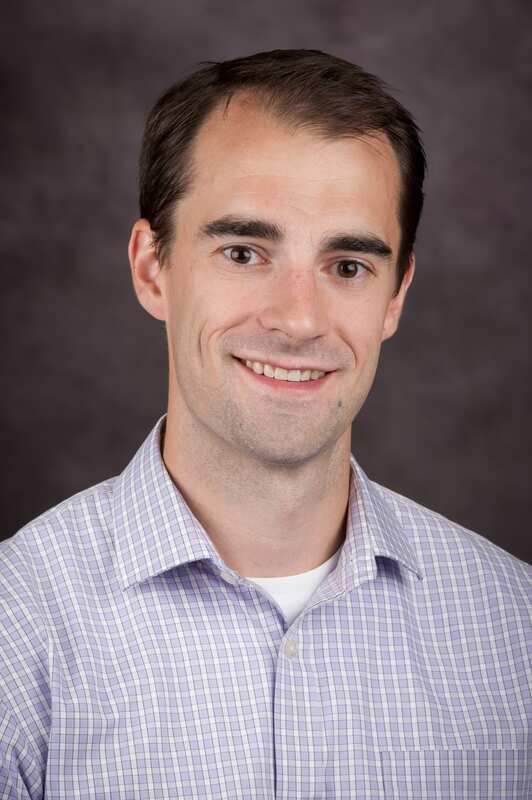 Michael Flynn has also been promoted to associate professor with tenure. Michael joined the department in 2014 and has also a significant mark in his field of study. Michael’s research focuses on economic sources of state behavior in the areas of conflict, international security and repression. His work has been published in a wide range of outlets including, International Studies Quarterly, British Journal of Political Science, and Journal of Peace Research, among other outlets. Michael is also an active blogger, doing the important work of translating academic research to a popular audience. He cohosts a blog, Quantitative Peace, that focuses on topics from American politics to international relations. His writing was also featured on the Monkey Cage Blog, which is hosted by the Washington Post. 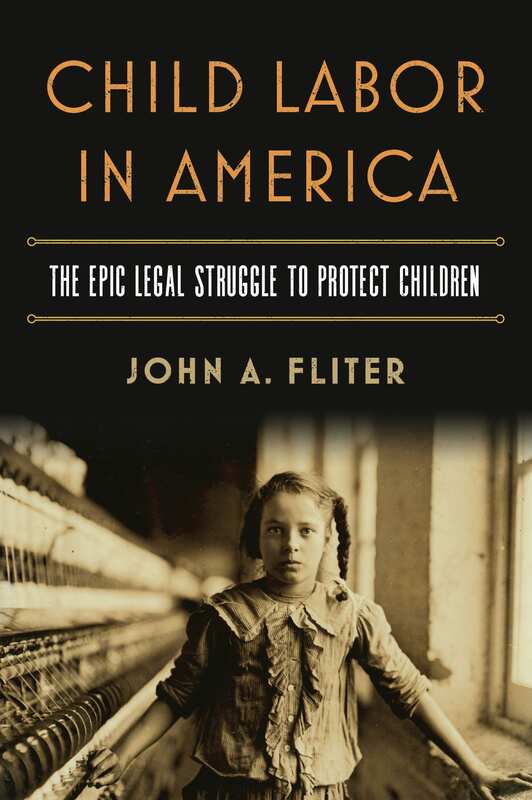 John Fliter, an associate professor in our department, had his book, titled Child Labor in America: The Epic Legal Struggle to Protect Children, published by University of Kansas Press in May of 2018. The book provides an updated, comprehensive history of child labor reform in America. 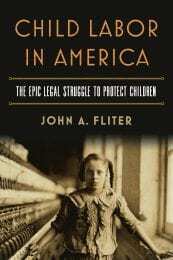 It emphasizes the legal and constitutional struggles at the state and federal level to regulate child labor and examines the politics behind the failed 1924 Child Labor Amendment. It incorporates the most recent legal and political science research on subjects related to child labor reform and discusses the key figures, interest groups, and government officials involved on both sides of the child labor debate. Dr. Fliter is currently working on his next book, tentatively titled U.S. v. Darby Lumber Company: Congress, the Commerce Clause, and the Triumph of Fair Labor Standards.